A recap for the third annual Tipitina’s Foundation Rhythm & Blues 5K is long overdue, as is a recap for several events since. I’m going to do my best this week to catch up with a recap per-day through Friday, as there are many events on the docket that will need to be covered soon after they happen. November and December are the busiest months for racing in the Crescent City, but homage must be paid to the month of October and what has kept us in racing shape though this point. The Saturday afternoon on September 27th was warm and humid, and rainy conditions threatened throughout the day leading up to the Rhythm & Blues 5K. As numerous members of the New Orleans Track Club board arrived to set-up, we were excited to have a record number of participants scheduled to show up. 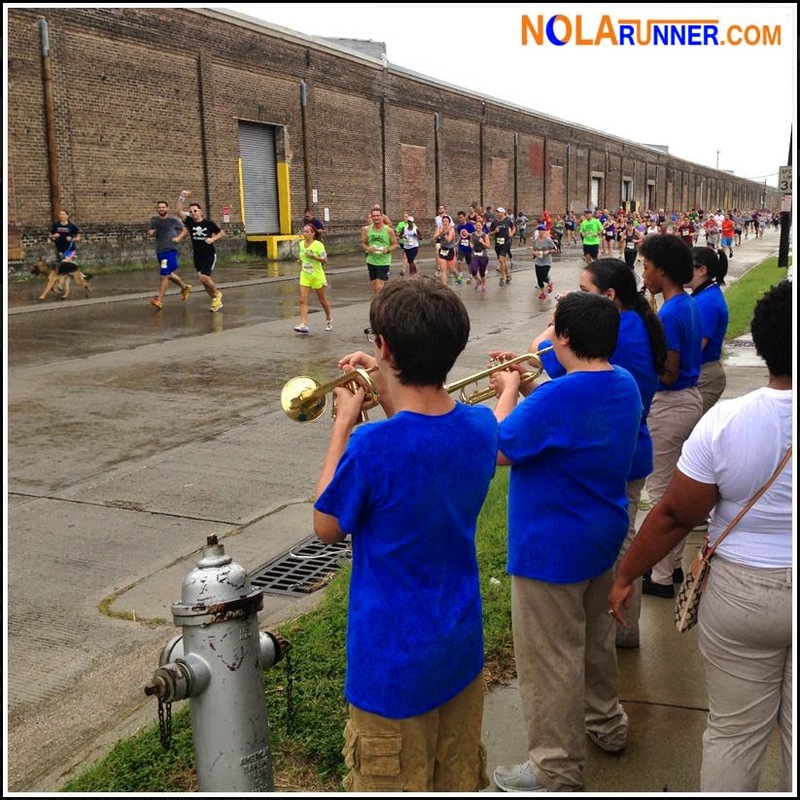 In addition to the over 500 registrants, another 100+ Youth Run NOLA students and running buddies were scheduled to cross the finish line. Fortunately, precipitation mostly held off until right before the start time, and even then limited itself to a slight drizzle that helped abate the summer heat. I was able to catch a few photos as the gun fired and the fastest runners lurched off the line. I then joined the pack to run the out-and-back path along Tchoupitoulas Street. 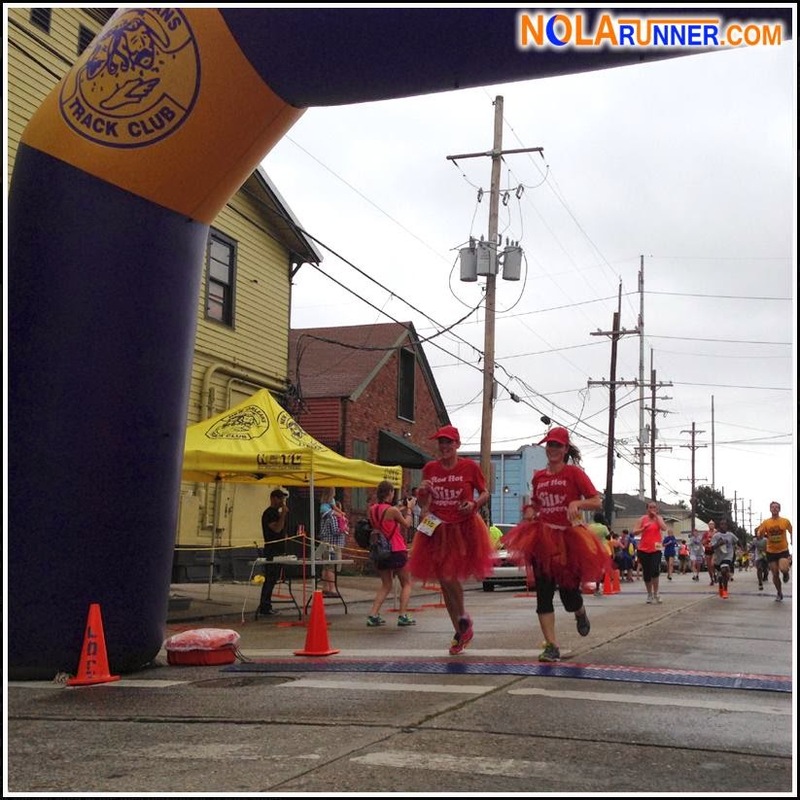 It was great to see so many runners in costume enjoying the evening run, as well as so many YR NOLA kids sporting their color-coded bandanas alongside their mentors. I stopped at several spots along the route to take additional photos of the runners, as well as the multiple bands that had come out to entertain athletes along the 3.1 mile path. The bands that played were from local schools who receive funds from the Tipitina’s Foundation, further music education in our public school system. After runners crossed the finish line and retrieved their finisher’s medal (for the first 500 finishers), they flowed directly in to the post-race party at Napoleon Ave. and Tchoupitoulas Street. Again this year, numerous restaurants supported the race by setting up tables, serving their signature dishes. Zea Rotisserie & Grill, Herbsaint, Raising Canes, Fest Cola, Cook Me Somethin' Mister, Superior Seafood, and countless others lined the neutral ground to feed the hungry, sweaty masses. There was also what seemed to be endless beer on tap, as it continued to flow during the post-race festivities. Really awesome awards were presented to top finishers, while Raising Canes and Varsity Sports provided gift certificates and prizes for costumed contestants. I really enjoy running the 5K distance during the hot summer months, and the Tipitina’s Foundation Rhythm & Blues 5K delivers by providing a great race followed by a fun party. As a product of a public school music education program, I also think the cause is a worthwhile beneficiary. While the event has been subject to damp weather a couple times over its history, those afternoon showers are something New Orleanians have become accustomed to. Based on this year’s field, it’s also not something that scares us away. For official results from the Tiptina's Foundation Rhythm & Blues 5K, click HERE. 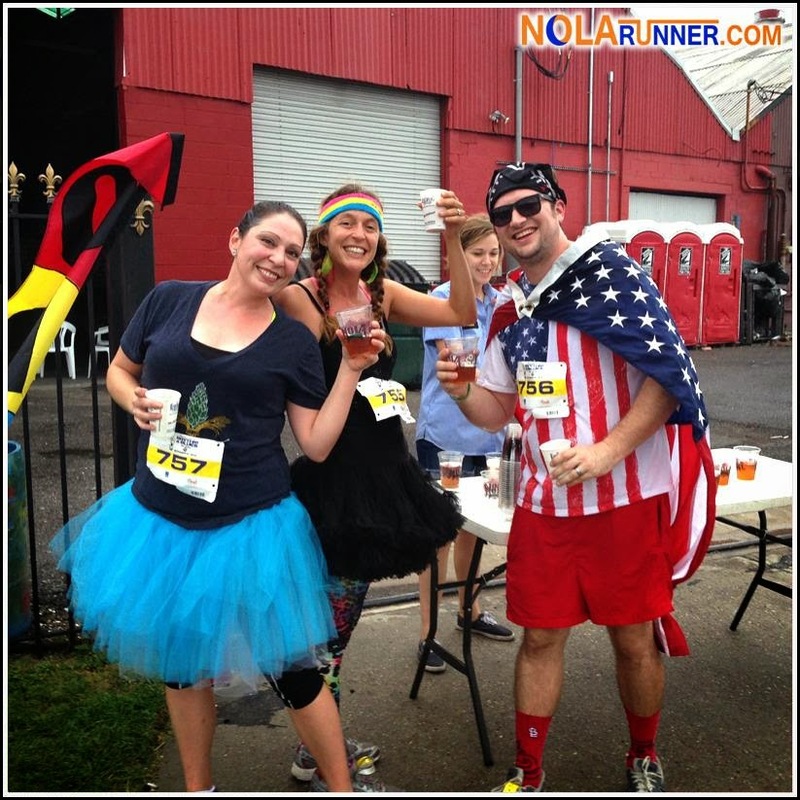 See more photos from race-day events in the gallery below, or LIKE the NOLArunner Facebook page HERE.